Considered one of the most successful internet entrepreneurs, Niklas Zennström is best known for co-founding Skype, an online communications platform which was designed to reduce the cost of telephone calls to businesses and individuals in an increasingly global community. Providing high quality voice and video calls, Skype now has well over 432 million users globally. When Skype was purchased by eBay in 2005, Zennström remained the companys CEO for a further two years to ensure its continued success. In 2009, a consortium including Zennstrom purchased Skype Technologies from eBay, and it was sold to Microsoft in 2011 for approximately $8.5 billion. Along with business partner Janus Friis, Zennström is also responsible for a number of other well-known companies, including the file-sharing application Kazaa, online video distributor Joost, and peer to peer applications Joltid and Altnet. In 2007, the pair founded Atomico Ventures, a venture capital business designed to invest in entrepreneurs and new businesses who are shaping consumer-facing technologies. Just some of Atomicos investments include FON, Rdio, Rovio, Last.fm, Fab, and Klarna. Zennström and his wife founded Zennström Philanthropies in 2007 in order to contribute to charities focusing on human rights, social entrepreneurship and climate change. 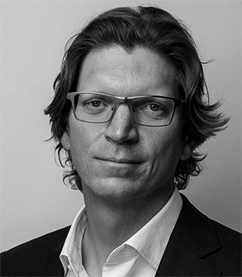 Zennström spent his early career at Tele2 and get2net before becoming CEO of the European everyday.com portal. He graduated from Uppsala University in Sweden with dual MSc degrees in business and engineering physics/computer science.